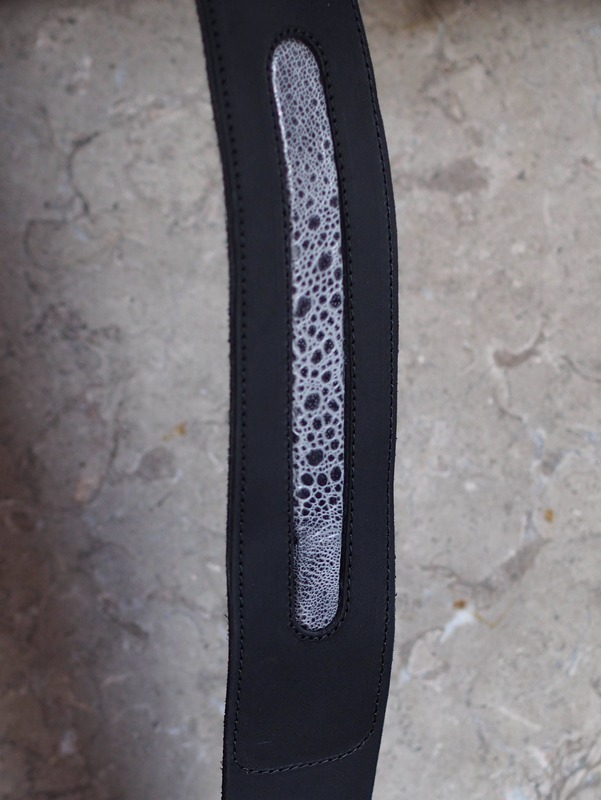 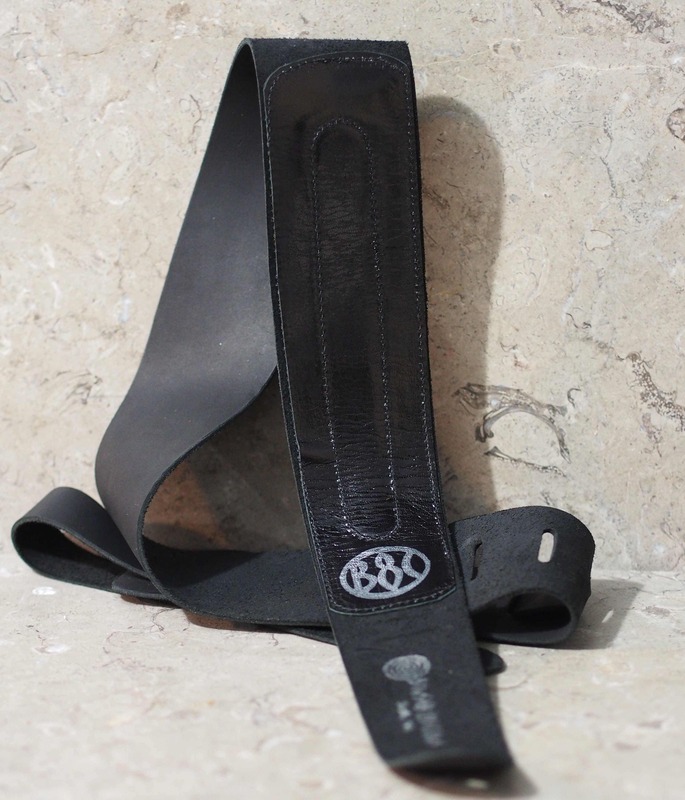 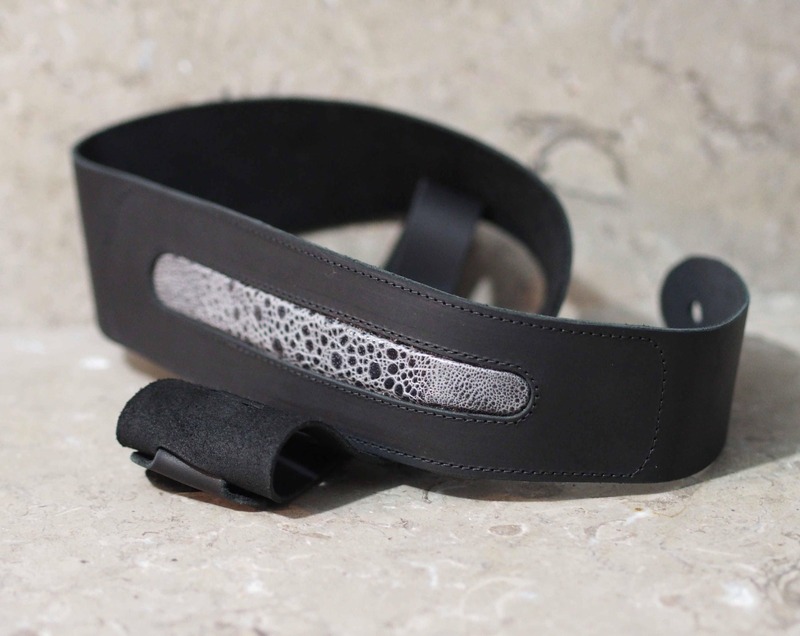 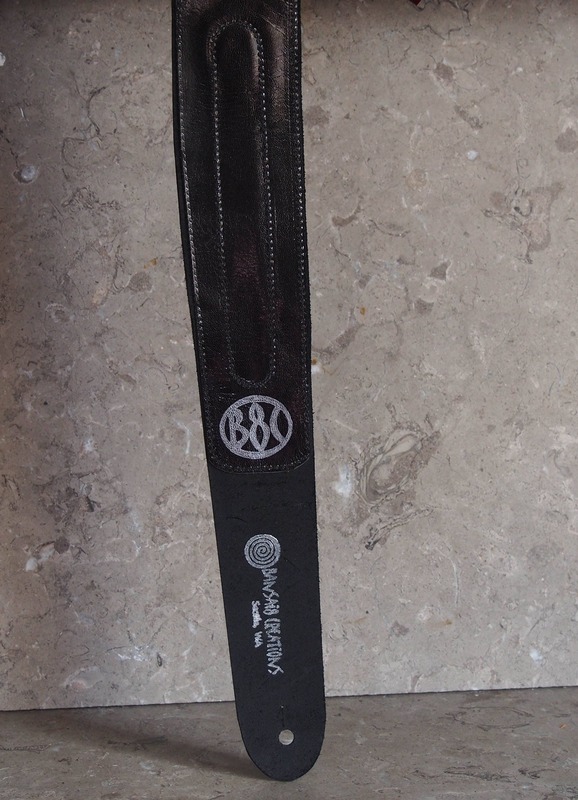 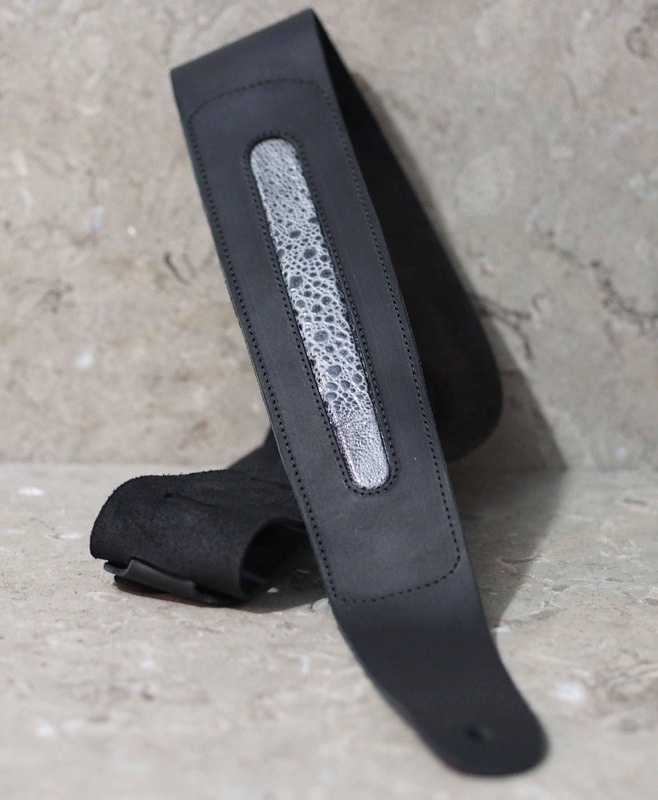 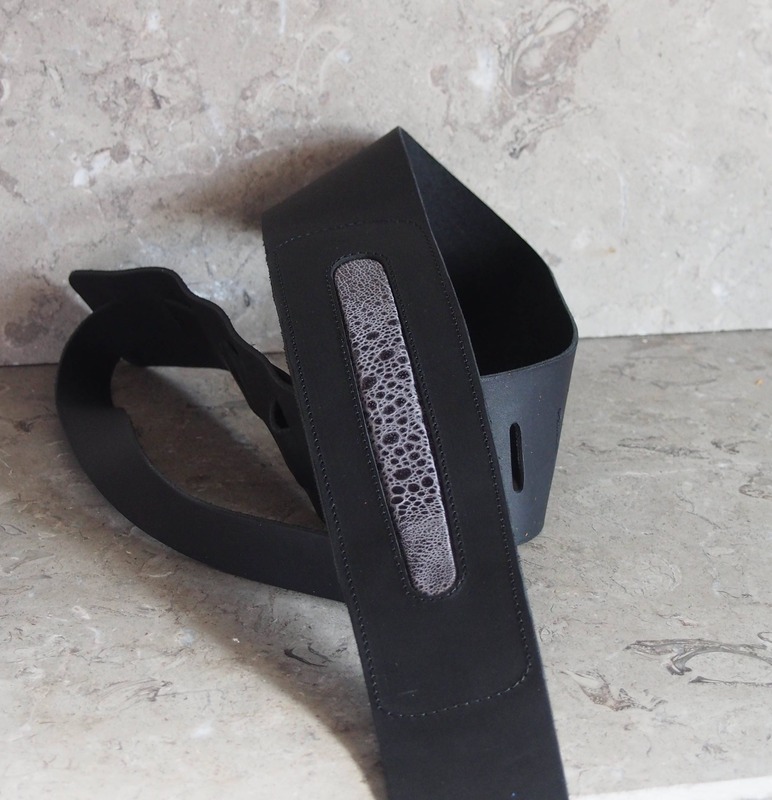 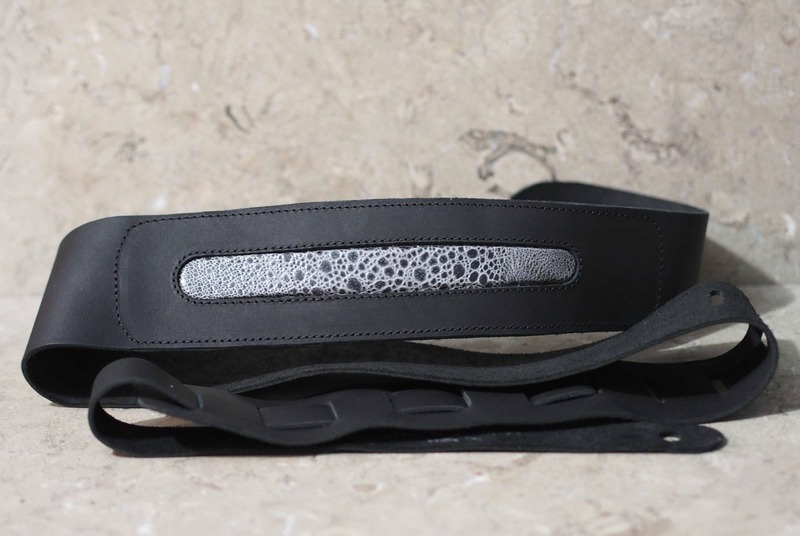 This listing is for a unique guitar strap made with exotic giant toad leather that has been dyed so that the low areas are grey, and the bumps, or high spots, are black, and this is inset in a black cowhide. 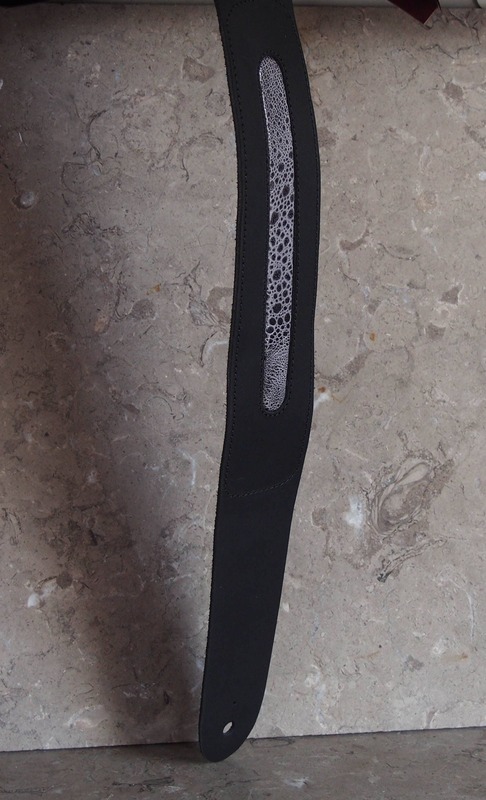 The inset is just under 7" long and 3/4" at its widest, and it tapers slightly toward the bottom, which is about 7" to the peg hole. 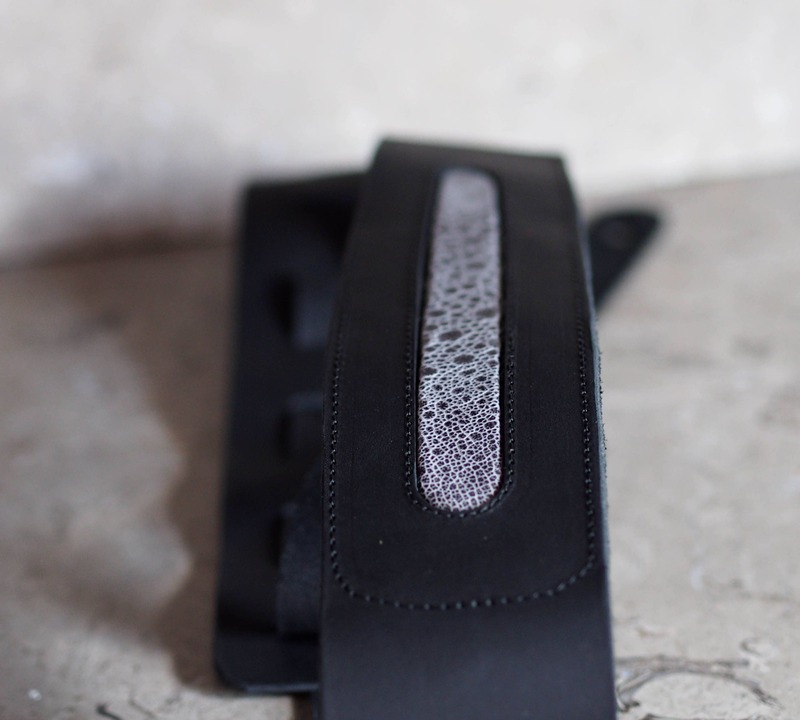 The toad is formed over a piece of the same thickness leather as the main strap, so it has some dimension. 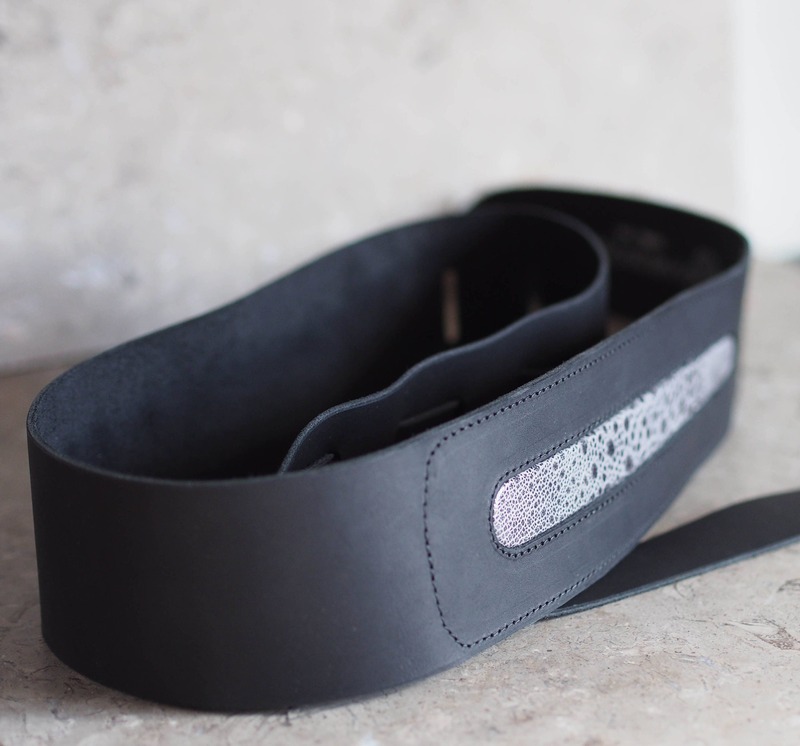 The strap is edge stitched around the inset, and the area is backed with a firm patent calfskin to hold the inset's height in place.